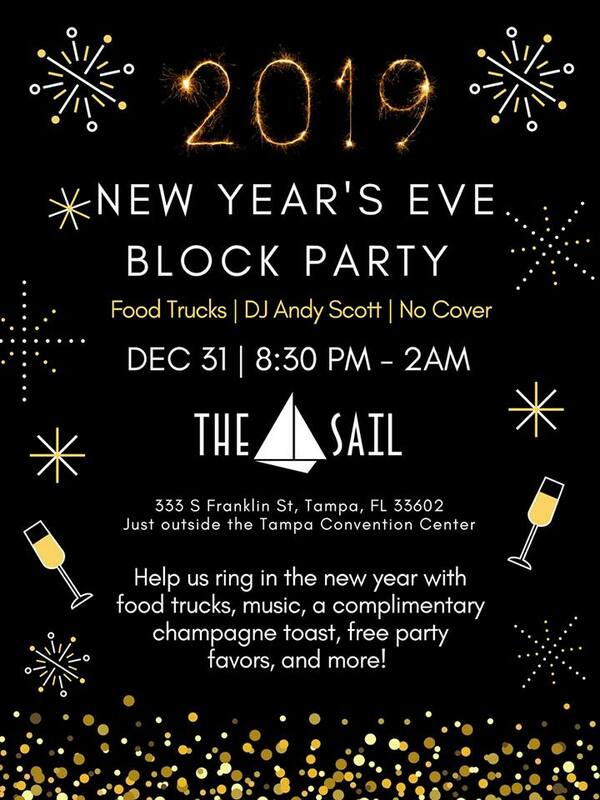 Join us for a sparkling New Year's Eve celebration/block party featuring food trucks, DJ Andy Scott, a complimentary champagne toast, free party favors, and more! The circle drive will be closed to traffic during this event to maximize space. Food trucks and floating bars will be set up outside, and the Tampa Convention Center will be open to the public for restrooms. American Social and Jackson's Bistro are planning midnight fireworks over the water right in front of our building.